When you have Achilles’ tendonitis, finding the right running shoe is a priority. If your tendon is inflamed, your regular running shoes might be making the problem worse. Running shoes that are good for helping to recover from injuries to the Achilles’ have a high heel-to-toe drop, supportive cushioning, a lot of flex, and good ankle support. If you overpronate, you’ll also want to ensure your running shoe has enough stability. In this article, we’ll review the best shoes for Achilles’ tendonitis so you can pick a shoe that helps you ease back into running while avoiding re-aggravating the injury. 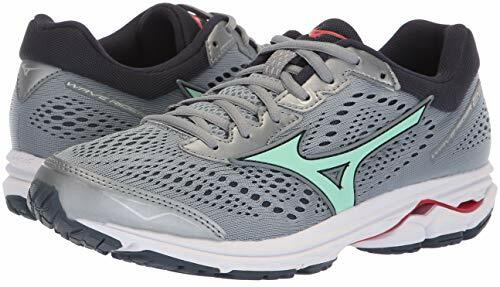 These running shoes are ideal for runners with medium to high arches who need a supportive shoe without the stability built into a shoe for overpronators. Even if you don’t overpronate, you might be tempted to try a stability running shoe while you deal with your Achilles injury. But stability shoes tend to be heavier and stiffer than neutral shoes and don’t necessarily provide the stability you need to ease Achilles pain. It’s key that the best shoes for Achilles tendonitis fit your foot and stride – don’t buy a shoe with extra support if it’s not warranted. If you are a neutral runner, you’ll be better off with a supportive shoe that doesn’t offer pronation correction. The Brooks Ghost 11 is excellent for those who are recovering from tendonitis because it offers a great fit along with support and a high drop. The Ghost 11 also holds the Runner’s World Editor’s Choice award. The Ghost 11 has a prominent midsole drop of 12mm, which will help to relieve pressure on your tendon. Furthermore, the shoe’s BioMoGo DNA midsole cushioning system adapts to your stride. You’ll feel a smooth footfall with every step. Especially for people with high arches, the Ghost 11’s midsole helps cushion your foot while running. This means that your Achilles’ won’t be stressed as much, which will help reduce inflammation and pain. The Asics Gel-Cumulus 20 is one of the best runing shoes for Achilles’ tendonitis. The most current version has been totally redesigned to be lightweight with plenty of cushioning, a natural heel-to-toe transition, and a snappy feel. For Achilles’ tendonitis sufferers the guidance line strip on the shoe’s tread helps keep your foot aligned correctly as you run. You will run more comfortably and efficiently. This – along with the firm heel cup that cradles your heel and ankle, keeping them secure – provide support to the Achilles area. The Cumulus 20 also has a high 10mm heel to toe drop, which decreases the amount of stress put on the Achilles. The heel also has a shock absorbing gel pad while the front of the sole has a springy gel. This gel combo keeps your feet feeling less shock from each stride. Other new updates to the Cumulus 20 include a soft upper which feels great as soon as you put your feet in the shoes. A wider toe box allows for a roomier feel and fits more foot types. Finally, a new layer of EVA foam has been added directly under the insert for a more comfortable ride. The Saucony Ride ISO is a great all-around shoe that has features beneficial to runners with Achilles’ tendonitis. The Ride ISO has an 8mm heel offset, which helps to ease Achilles’ pain. The Ride ISO is ideal for those who have neutral pronation and for those who need some cushioning but minimal support. The shoe’s rubber sole is designed to provide great traction and added flex for a natural running feel. New to the Ride are ISO Lacing. This lacing system, more commonly found on Saucony’s more expensive shoe, gives you a soft upper that keeps your foot in place without a tight, uncomfortable fit. Also new is FORMFIT in the topsole. This new foam in the Ride is designed to fit the shape of your foot. It’s a contoured design instead of the flat topsole you normally find in most running shoes. Frequent starts and stops aren’t great for your tendonitis, but this shoe contains some give in the right places to make acceleration and deceleration a little bit less traumatic for your tendon. You may find the shoe a bit unresponsive and large if you’re more accustomed to a lighter, less cushioned shoe. The Mizuno Wave Rider 22 is a lightweight yet functional shoe. They feature great flex and a high drop beneficial for runners with Achilles Tendonitis. They also offer a unique, zippy ride with Mizuno’s patented wave plate. These shoes have a great underfoot feel, good heel support, and high durability. They work best for shorter runs, races, and speed work. The shoe combines good shock absorbance balanced with nice road feel. The high drop and flex make them ideal for tendonitis sufferers. They also great support for a lightweight, neutral shoe. 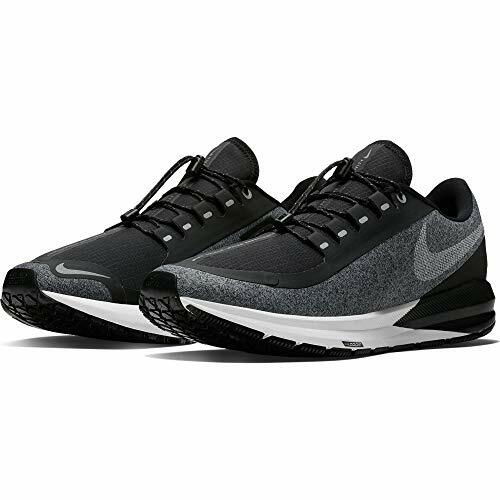 The Nike Air Pegasus 35 has a 10 mm drop which makes it a great running shoe for Achilles’ tendonitis. The shoes are great for runners with a neutral stride who want arch support. The cable fly-wire do an awesome job of securing your foot and providing support, especially to the arch area. The cushioned midsole protects your foot while offer plenty of flex. The 35th-anniversary version of this shoe adds a tall heel tab for additional Achilles support. Also new are men’s and women’s versions. The women’s version is a bit softer in the midsole. Women tend not to run as heavy as men, so the softer cushioning provides comfort while maintaining the snappy feel the Pegasus is known for. Additionally, Nike makes a nice looking shoe. 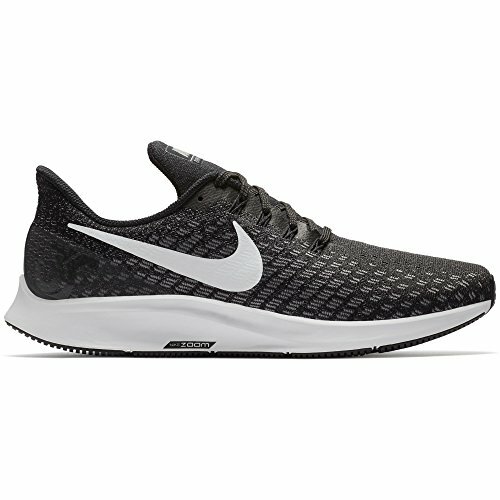 And the Pegasus 35 has a great price point at $120. If you overpronate or need a shoe with more support, these are the best shoes for Achilles tendonitis. They all have tons of stability and a high drop to take the pressure off your Achilles. 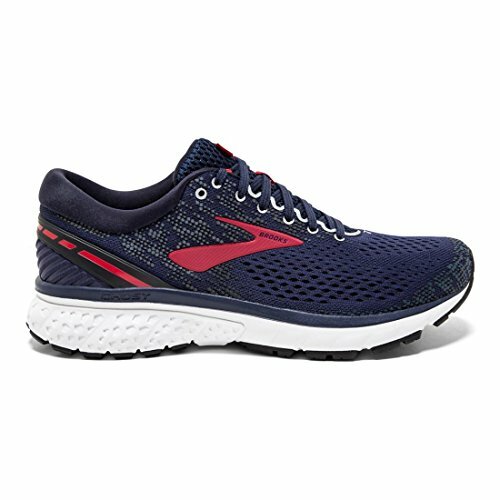 The Brooks Adrenaline GTS 19 balances soft cushioning with support in a lightweight package. With a heel-to-toe drop of 12mm, it’s hard to find a shoe that’s more devoted to maintaining the proper position of your Achilles’ tendon. The shoe’s arch is geared towards those with low to flat arches. The shoe is relatively lightweight thanks to its seamless mesh upper. The mesh is very breathable, but may not secure your foot in the same way prior models have. The GTS 19 also has guide rails for support. Guide rails are a new technology from Brooks that provides only as much support as you need. This lightens up the shoe and gives it better durability and cushioning in the midsole. Support and stability are also key because it means your Achilles’ tendon won’t be stressed with each step. 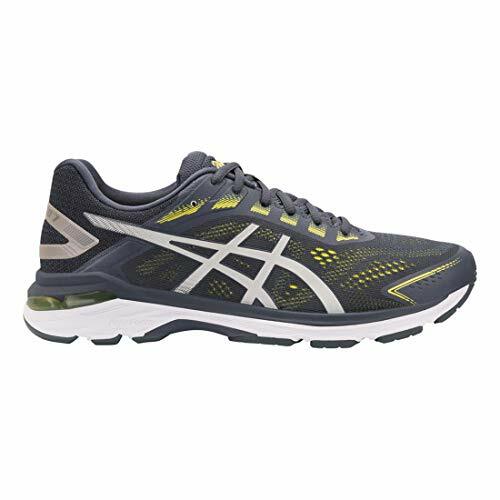 The Asics GT-2000 7 is a heavily cushioned and supportive running shoe. The high drop and secure ankle support will help runners with Achilles tendonitis. The GT-2000 also has enough support to aid runners who overpronate. Like many Asics, it has a snug mid-foot and heel constuction, but decent room in the toe box. Because it holds the ankle so well, it provides great support to the Achilles. If you have a heavy stride, this shoe has extra cushioning at the heel and rear of the shoe to absorb most of the shock before it can make its way up through your body to aggravate your tendon. The shoe is a bit less agile than other running shoes, but its unique blend of support, drop, and ankle support makes it great for runners recovering from tendonitis. 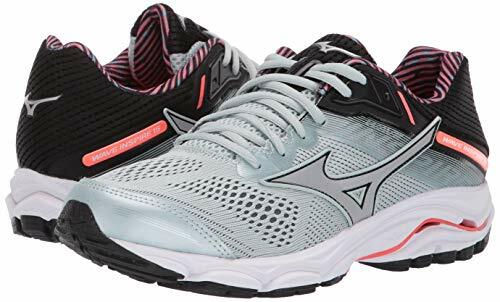 The Mizuno Wave Inspire 15 is a highly supportive running shoe that’s more than sufficient to help with Achilles’ tendonitis. The Inspire 15 has a shock absorbing midsole which will protect your joints and tendons. 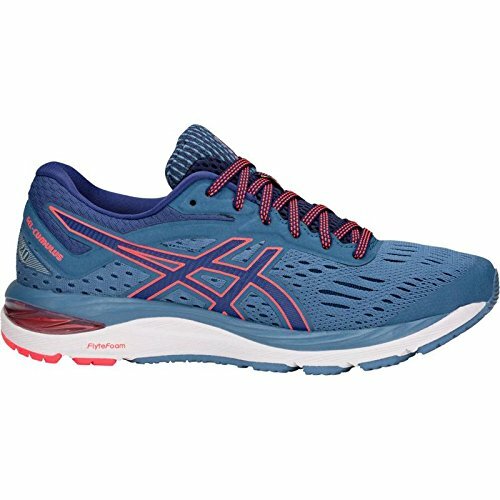 It’s a lightweight shoe but provides enough stability for runners with low to flat arches. The wave plate provides a responsive feel. The sole of the Inspire 15 is extremely durable and offers a huge offset between the heel and the toe. This feature means that your Achilles’ tendon will not have to work as much during the upward swing of your stride. The only drawback of this shoe is the side area near the saddle; the shoe encourages a certain kind of stride, but this area of the shoe is stressed immensely and isn’t very durable as a result. The rubber sole, toe, and rear of the shoe are all very durable. 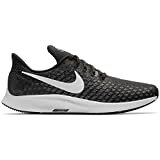 The Nike Air Zoom Structure 22 is a lightweight and tough running shoe that has a cool, breathable upper. It has a nice, high drop and plenty of cushioning. There is enough support to runners who overpronate. On top of that, the flywire cables keeps the upper secure and supported. These shoes are best for those with a low to flat arch. The meshing is lightweight, as are the laces. The only potential comfort issue with this shoe is its very thin toe region. 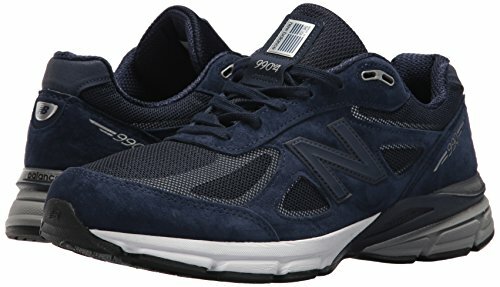 The New Balance 990v4 is a durable shoe that maintains a classic look and feel. This shoe has a 12mm drop, plenty of cushioning, and good arch support. Though the shoe is not very breathable, it’s very comfortable otherwise. The heel is well-cushioned, and people of all arch types will find some support. The shoe may feel too padded and close-fitting for some people, but these features are also beneficial for holding the Achilles’ in a comfortable position. The shortcoming of these shoes is their efficiency and agility features. These shoes optimize for comfort over running efficiency, proper posture, and agility. As a result, you may get tired quickly while running in these shoes, but you’re unlikely to feel pain. What causes Achilles tendonitis in runners? Many runners who frequently run uphill, pivot, slow down, or speed train are prone to injuries such as Achilles tendonitis. In addition, runners who land on their forefoot or toes (i.e. natural or barefoot-style running) are also more likely to suffer from this type of injury. Can running shoes cause Achilles tendonitis? Some runners are unaware that running in the wrong pair of shoes can cause Achilles tendonitis, especially if the running shoe is poorly constructed and inflexible. That’s why we believe it’s so important to always wear the best running shoes for Achilles tendonitis. Whether you are an overpronator or neutral runner, you should consider looking for running shoes with features such as a flexible outsole, springy midsole, high heel-to-toe drop, a wide forefoot, soft interior, and stability control (for overpronators). Can I keep running with Achilles tendonitis? Although many runners attempt to run through the pain that is caused by Achilles tendonitis, we wouldn’t advise this course of action. 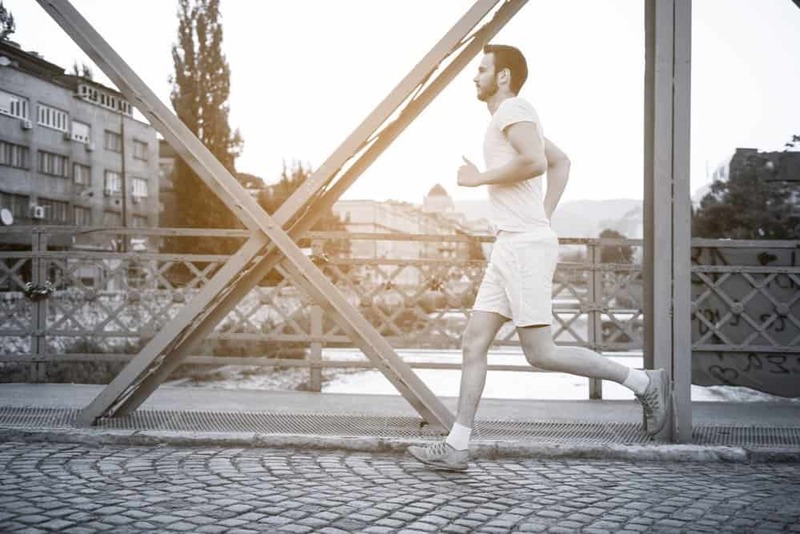 Since this injury results from overusing the tendon, continued running has been repeatedly shown to stress the damaged tendon even more, which ultimately makes the condition worse. Not to mention that running often increases the swelling around the tendon. The result of this swelling is a tendon that is unable to fully heal. We understand that not being able to exercise can be extremely frustrating, but resting the tendon is the only way that it will heal completely. 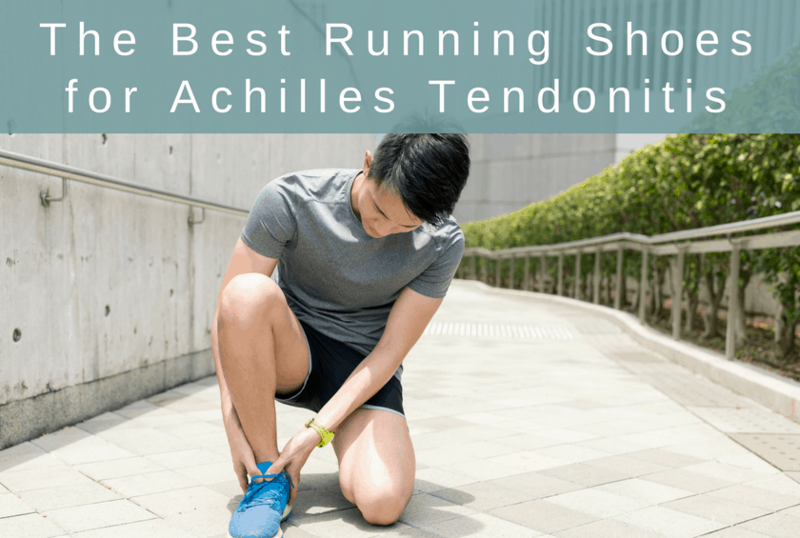 What happens if I keep running with Achilles tendonitis? This is generally not recommended. The problem is that there is little blood flow to the Achilles. This means it’s slow to recover and takes time to heal. While you may be able to run through it, there is a good chance that you’ll ruin your recovery with just one run. Re-injuring the Achilles will set you back to the beginning and you’ll need to start the entire recovery process all over again. The Achilles tendon receives almost all the forces exerted while running during the toe-off phase. This makes it susceptible to injury. Your recovery speed is greatly increased if you don’t run with an Achilles injury. How long should I stop and recover after Achilles tendonitis? Shutting it down for two weeks is usually recommended. It will still take more time to recover, but you can ease back into running after two weeks off (this is assuming you take it easy coming back and monitor the Achilles for increased pain). How should runners treat Achilles tendonitis? There are many conservative treatment options for treating Achilles tendonitis. These at-home treatments include massaging the calves with a foam roller, performing eccentric heel drops and heel lifts, icing after each run, heating before each run, wearing more supportive running shoes, and engaging in ankle strengthening and mobility exercises. A more aggressive option is Iontophoresis with dexamethasone, which is a prescription treatment offered by physical therapists. The treatment consists of delivering anti-inflammatory steroids into the tendon for pain relief. Keep in mind that the exercises that you want to avoid are excessive stretching. Make sure that you perform only light and easy stretching until the injury is completely healed. How do I start running after Achilles tendonitis? If you have recently recovered from injuring your Achilles tendon, you are probably wondering how to ease back into your regular running routine. While you may be pain-free, this doesn’t mean that you should just jump straight into full-on training. There’s a good chance that if you take this approach you’ll end up back where you started. Instead of pursuing your training at full speed, consider starting off with a nice slow run for only ten minutes. After you complete your run, wait a day and then evaluate how you feel. If you feel ok and pain-free, you should start building up to your normal exercise routine. It’s also a great idea to actually write down a training plan. This ensures that you do not perform more exercise that you can handle. How do I prevent Achilles tendonitis while running? Most of the pain that you experience while running can be solved by preventing Achilles tendonitis in the first place. For most runners, the tendons can be protected by improving their foot strike, form, and ensuring that you are wearing the best running shoes for Achilles tendonitis. Studies have shown that most sufferers of this condition are heel strikers. These types of runners are usually prone to wear out the sole at the back outside section of the shoe. When this happens, the mid-sole is often compressed. The ultimate result of a worn-out shoe is a tendon that is overstretched during the heel strike. To solve this problem, heel strikers should focus on improving the overall form of their entire body. Every runner should train with the proper footwear to absorb the shock and force of the ground. When the correct shoe is not worn, the Achilles tendon will become inflamed and swollen, which will make running virtually impossible. If you are a heel striker, make sure that you avoid shoes with a high profile. These types of shoes often have a big distance between the heel of the foot and the ground. Because this style of shoe is over-cushioned and unstable, overstretching and stressing of the Achilles tendon is likely to occur. In most cases, the best type of shoe for runners are those with a low profile. These such shoes provide more support and shock absorption to the heel and tendon. Whenever you want to improve the foot strike, form, and footwear, a professional that specializes in treating runners is always available to help you correct these problems that are often associated with Achilles tendonitis. In this video from Sports Injury Clinic, they also explain why a good pair of running shoes is extremely important to preventing this injury. He also provides you with the types of running shoes that you should consider buying. Can I change my form or technique to help prevent Achilles tendonitis? For an efficient and pain-free running, you should make a resolution to improve your overall form. Did you know that the place where the foot strikes the ground is extremely important to preventing Achilles tendonitis? If you are a heel striker, you may experience less pain if you do not lean forward with the head out in front of the feet while running. According to our research, the best way to prevent Achilles tendonitis is to always run with your chin tucked, shoulders plunged back, and the pelvis slightly forward. Does barefoot running or minimal running shoes cause Achilles tendonitis? In the past, many experts were advocating that the minimal running shoes promised a more natural experience, but we have found recent studies that suggest that this assertion couldn’t be further from the truth. Since these shoes are often less structured, research has shown that this type of footwear is synonymous with higher rates of injury such as Achilles tendonitis. Barefoot running has also been linked to painful injuries like Achilles tendonitis. But if you decide to switch to barefoot running or minimal shoes, you should do so gradually so that your body can adapt appropriately. The result of switching to barefoot running or minimal shoes is often a greater chance of shin and calf pain. Will inserts or orthotics help with Achilles tendonitis? Inserts will do two things to help runners with Achilles tendonitis. First, it will slightly raise your heel. This effectively adds an artificial higher drop to a shoe, eliminating pressure put on the tendon. Second, it adds support to an existing pair of running shoes. If your running shoes aren’t supportive enough, adding an insert is a good way to increase support without buying a brand new pair of shoes. The drop on a running shoe refers to how high the heel is compared to the toe. Most running shoes are raised in the heel, so your foot slightly angles down. The difference between how high the heel is vs. the toe is called the drop. It’s measured in millimeters (mm). A high drop like 12mm means your foot is angled forward and down. A low drop like 4mm means your foot sits flatter to the ground. For years, most running shoes had a high drop, usually around 12mm. This is still standard is most running shoes. The advantage for running is that if you strike with your heel, which is fairly common with runners, your foot is better cushioned on landing. It also allows for a smooth transition from heel-to-toe during the gait cycle. When the barefoot running craze started, shoe manufacturers started playing around with the drop on running shoes. When you run barefoot, nothing raises your heel. Your heel and toe remain the same height. This called zero drop. Vibram runnings shoes led the charge with their barefoot design. Other new brands appeared, like Altra which featured a barefoot design with the cushioning of a classic running shoe. Nowadays, running shoes come in a range of drops from zero to 13mm. For runners suffering from Achilles tendonitis, a higher drop running shoe places less strain on the Achilles. It flexes less and puts less pressure on that part of your foot while running. It’s for this reason that we recommend a high drop running shoe for Achilles tendonitis. Often used in conjunction with drop when describing running shoe features, stack height refers to how thick the cushioning is in a running shoe. Like drop, it’s measured in millimeters (mm). The measurement is taken at the heel and toe. Stack height varies in running shoes from lightweight and minimal (low stack height) to thick and cushiony (high stack height). The difference between toe stack height and heel stack height is the toe-to-heel drop. Some running shoes don’t advertise the drop. But this can be calculated by taking the difference between toe and heel stack height. These two terms are used interchangeably in running shoe descriptions. They are essentially the same thing; however, support and stability can be added to running shoes in different ways. Loosely, these terms mean a shoe that has some stiffness to it. It’s a running shoe that keeps your feet in alignment as you run. Depending on the shoe, how much it realigns the foot will vary. This is opposed to running shoes without support/stability that don’t attempt to align your foot. These shoes – sometimes referred to as minimalist or barefoot running shoes – allow your feet to move naturally. Stability running shoes as a category are designed to correct overpronation (where your foot rolls inwards excessively). Support shoes can also be corrective in this manner. Or it can just refer to a running shoe that isn’t designed to correct overpronation but remains supportive to keep your feet aligned. For runners with Achilles tendonitis, it’s important to find a running shoe with support. Even if you don’t overpronate, you still want a shoe with good support, i.e. stiff without too much flex. Runners with Achilles tendonitis who do overpronate will benefit from extra support and stability. It’s for this reason that we divided this article into two sections with two different types of shoes. Most running shoes have some cushioning. The main purpose of a running shoe is to protect your feet, legs, and body from excessive pounding and stress that occurs when running. The amount of cushioning varies wildly from shoe to shoe from bare minimal in barefoot-style shoes to pillowy, cloud-like cushioning found in Hoka One One running shoes. You do want cushioning when recovering from Achilles tendonitis, but too much cushioning will add strain to the Achilles. It’s better for a moderate amount of cushioning rather than too little or too much. The best running shoes for runners suffering from achilles tendonitis.